The right to disagree with the president is necessary for a free nation. The demand to celebrate him is not. I served on active duty in the U.S. military because I felt a deep sense of loyalty to our country, which welcomed my immigrant family and provided boundless opportunities for us to succeed. In a nation as dynamic and diverse as the United States, what makes us great is that our founding principles are rooted in the bedrock principle of freedom, including the right to free expression. Before I could become a military officer or a Member of Congress, I was required to do one thing: Take an oath to the Constitution. The Bill of Rights is a remarkable document because it weaves into the fabric of our democracy the idea that government has a responsibility to protect individual liberty. That notion was radical at the time, but laid the foundation for us to be the "shining 'city on a hill'" that we are today. President Trump’s suggestion that it was treason not to applaud him during his recent State of the Union address makes it clear that Trump fundamentally doesn’t understand what it means to be an American, let alone a patriotic one. Trump fundamentally doesn’t understand what it means to be an American, let alone a patriotic one. I served our country for the same reason I didn’t clap during parts of the president’s speech: Because I love our country. When I hear President Trump suggest policy ideas that run counter to American ideals, I speak out. In the same vein, when my constituents disagree with me, I welcome and champion their right to speak out. 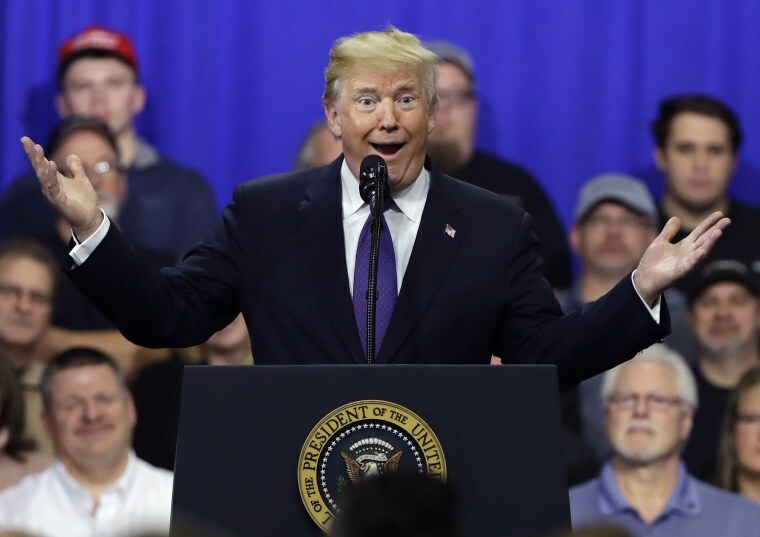 In fact, every American has the right to clap when the President speaks, or to remain silent; to express their frustration with government, or to praise government; they have the right to protest, to call their representatives, to have their own ideas and share them widely. Those are our most basic rights as Americans and our greatest assets as a nation. I stand for the national anthem because I love a country that gives every person the right to kneel during the national anthem. The President does not understand this core concept, though it's fundamental to the health of our democracy. The president mistakes, time and again, expressions of adoration for him with love for our country. When President Trump attacks the media and his political opponents for criticizing him, he’s attacking our founding principles. Instead of engaging in rational discourse, he is demanding the kind of unquestioning devotion to which no president is entitled. We are not and will never be an authoritarian regime. The president mistakes, time and again, expressions of adoration for him with love for our country. That is wrong. Trump’s constant pursuit of praise damages our democracy. He ought to know that he is serving the country, not himself. In yet another example of his desire to be served by instead of serve the nation, President Trump is pursuing a military parade in Washington, D.C. that would mirror shows of force by North Korea and Russia — countries, I should note, whose leaders don’t listen to the will of their people. It would be an enormous waste of taxpayer money and nothing but a transparent ploy to appear like a strong leader. No one in the world doubts the might of the United States' military. The only thing a display like this would do is have them doubting the strength and wisdom of our President. If President Trump wants to actually prove he’s a strong leader, he could start by championing American ideals even when they don’t suit him personally. Or at the very least, to stop attacking our democratic institutions, law enforcement and core values. If he did that, maybe his efforts would be worthy of applause. Congressman Ted Lieu represents California's 33rd Congressional District. 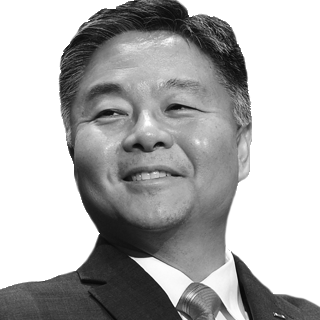 Elected in 2014, Congressman Lieu serves on the House Judiciary Committee and the House Foreign Affairs Committee. He is also an Assistant Whip for the Democratic Caucus. Congressman Lieu is a former active duty officer, who currently serves as Colonel in the US Air Force Reserves. He is an alumni of Stanford University and Georgetown Law.